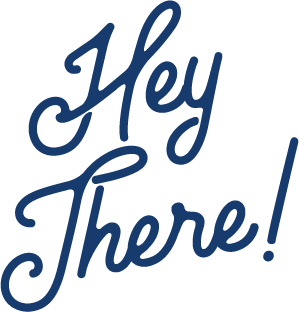 If you’ve been following me on Twitter, Instagram, or Facebook you may have noticed things have been a little quiet on my end. I’ve been off the radar the last little while. Truth is, Dan and I have been working on making a (crazy) idea, a reality. It’s something that we both thought was virtually unimaginable – especially not in our mid-30s. But travel gives you many crazy ideas. This was one of them. When I first landed my two feet in Europe more than 10 years ago, I never imagined it would draw me in so much. The culture, the food, the slow lifestyle. Dan was getting paid to live and play pro-football in Barcelona at the time. I was gallivanting solo across 16+ countries and 28+ cities. Each time we returned over the years, I would tease the idea of how we could set roots here some day. 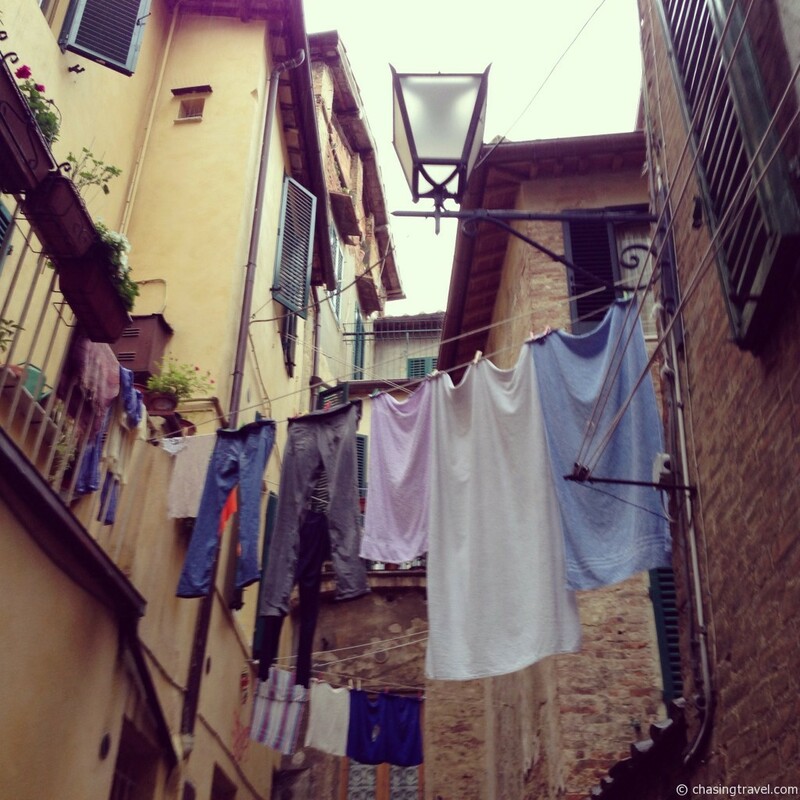 I would point out frequently the little cobblestone passageways and old squares for our evening strolls while licking gelato, farmers’ markets to pick our fresh vegetables each morning, and picturesque balconies where we could hang laundry on makeshift clotheslines the way Europeans typically do. I imagined living in Europe in a rustic apartment in Italy. Or a cozy quartier in France. Dan laughs that my crazy ideas hardly match our bank account. But crazy ideas are possible. To both of our surprise, this one somehow stuck. It found itself in the right time and at the right place. For about an entire year, Dan and I have been secretly going through a winding roller coaster of emotions, questions, and uncertainties, taking the biggest risk we have ever taken. We have been mum about it until now. We hadn’t even mentioned a word to our family or friends, feeling unsure whether this crazy idea could actually become reality. But it has. And my heart is still racing as I write this! 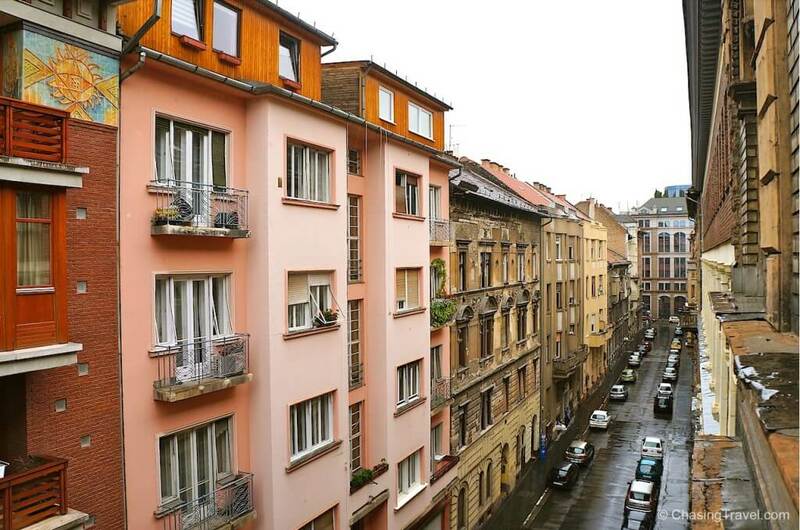 We are so excited to reveal that we took the leap and bought our own little apartment in Europe – in Budapest, Hungary. And I am absolutely in love! Looking back, Hungary took us by accident. And by surprise. Dan and I stumbled here in March 2015 when we were searching for a cheap flight to anywhere East. I was working at travel conference in Berlin that year and Dan flew in to meet me later at the Ferenc Liszt airport in Budapest. 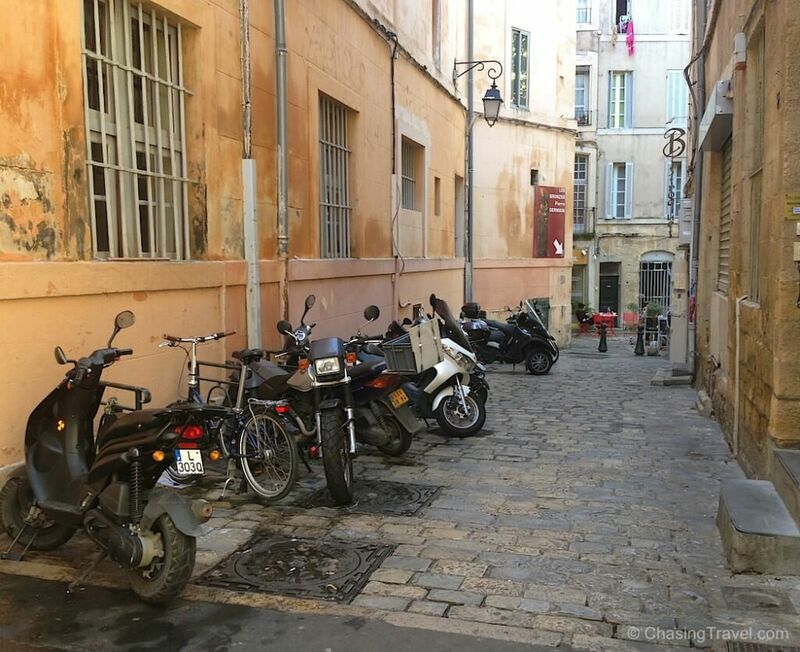 There was so much about this that we weren’t expecting when we got here – the Paris-like views, savory food scene, and emerging coffee culture; the quirky street art and unusual ruin pubs that make this city so distinct. Not to mention it’s the city where Dan popped the question to me on that very first trip. 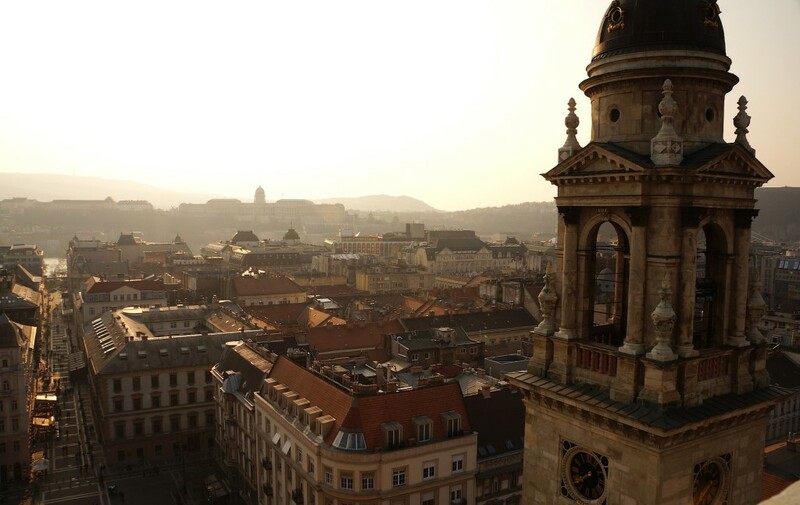 Budapest became a special place for us but we had no idea we were about to make it our second home. The more we came back and the longer we stayed, the more we were convinced to make this city a part of our story together. We secretly took three more trips back to Budapest. Instead of exploring, we were house hunting. 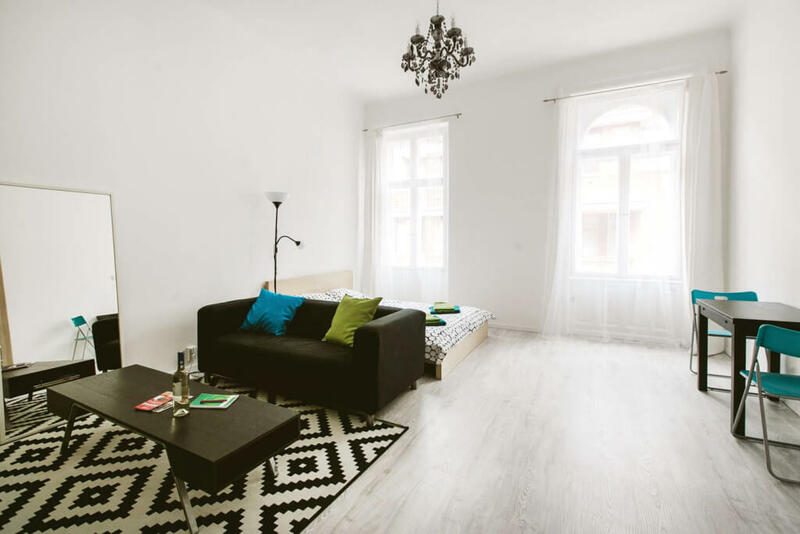 We found ourselves scouring real estate websites, trying to decipher Hungarian listings, vetting new neighbourhoods, viewing properties, learning all we could about the market and getting acquainted with the quirks of housing here. 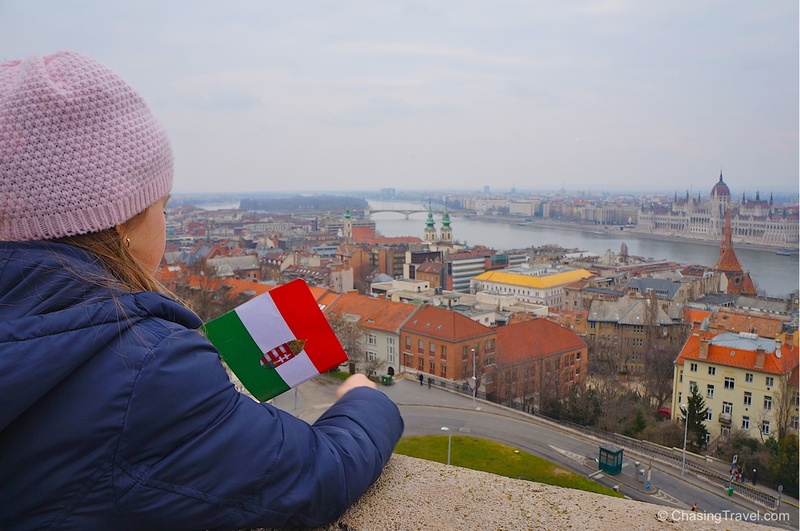 Our multiple trips to Budapest also meant meeting lawyers, hiring an accountant, registering our taxes, setting up insurance, oh yes and plenty of headaches just to open a measly bank account. In between it all, we managed to see at least a dozen flats in and around the Pest side of the city. Studio flats. One bedrooms. Two bedrooms. Even complete DIY renos. It was exciting and surreal all at the same time. I couldn’t believe we were actually doing this! Among the craziness though, we made sure to find moments to pause and take it all in. We crossed our t’s, dot our i’s, signed, sealed and delivered. 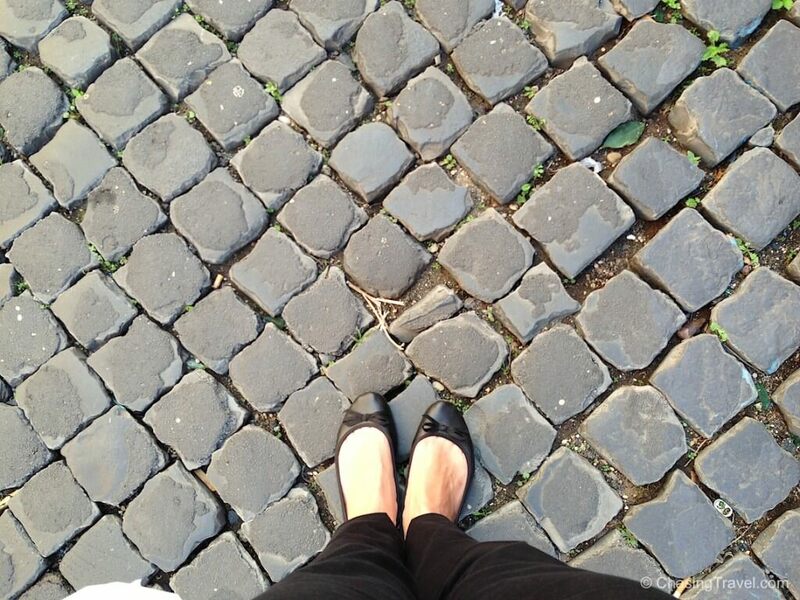 We found the perfect place to call our own with all the European charm and cobblestones we could ask for! It’s a cozy little studio in an historic building, yet newly renovated so it has the unique charm of both new and old. 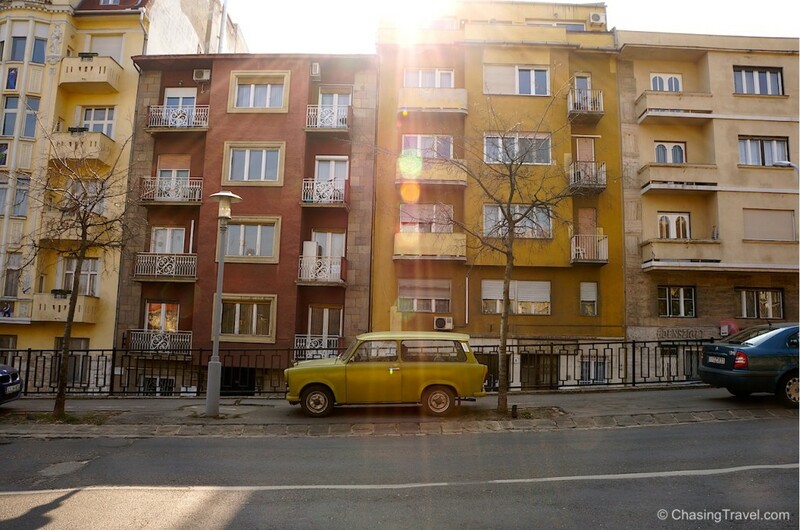 It’s on a quaint street in the 6th district on the Pest side, beautifully bright and airy, with so much natural light! We decided on a super central location, close to local squares like Liszt Ferenc tér where we can people-watch or take in that oh-so typical European café life. We can easily hit up one of Budapest’s lively ruin bars from here, or head to the Danube for a Tuesday night music concert. A quick metro ride gets us to the new craft beer spots in the city. And strangely enough, one of our favourite cafés we’d go to for “giant cappuccinos” during our first travels to Budapest happens be just around the corner from our new place. Coincidence? Maybe. But it sure makes me believe the stars have aligned just perfectly! Most of the buildings in Budapest today were built in a 50-year period from 1885-1935 which saw many wars. Some buildings bear scars from tanks, bombs and bullets including our own. Our flat sits on the top floor and if you look closely, the original outside brick of one of our windows is literally crumbling and could certainly use a fix. It’s a classical apartment from 1910 which means it survived two World Wars and several small and large revolutions too. Some people might think the buildings in Europe are ugly but I love that this has character, narrative, and 106 years worth of stories. If these walls could talk, I’m sure they would have many tales to tell. 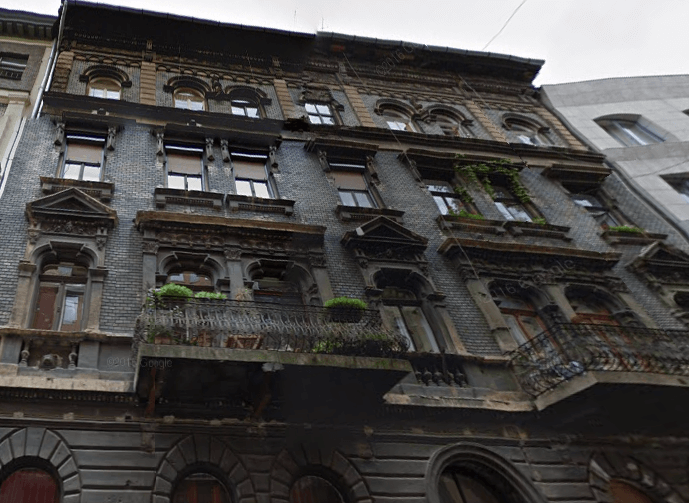 Recently the city has started to revitalize the façade of many older buildings in and around Budapest. Some apartment structures on our street have already undergone a facelift and even though pieces of this one have chipped away, I really hope the government skips our building and doesn’t change a thing because I absolutely love it the way it is – crumbling brick and all. Everything about our new flat is so European. The kitchen is one of them. We have a gas stove and wooden countertop like my grandmother once had in her Italian village. We also bought a new espresso machine so now I can cozy up to warm cappuccinos in the morning. The lack of elevator is the other. Back in the day, buildings in Europe were never built with an elevator shaft in mind. Slowly, buildings are being retrofitted with lifts. For now, walking up four flights of stairs is a challenge when you got your hands full with groceries but it also means you get to be very fit while living here. I like that our new home is cozy and romantic. We have an inner balcony where any given day, the sun shines in, or you can watch the rain over the courtyard. But my absolutely favourite part? The street view we get from our bedside window (a pretty rare apple when you’re house hunting in Europe). We bought our place in the Spring just before my 33rd birthday (yay for birthday gifts to me)! The ironic thing is that Dan and I don’t even own a home in Canada where we’re originally from. 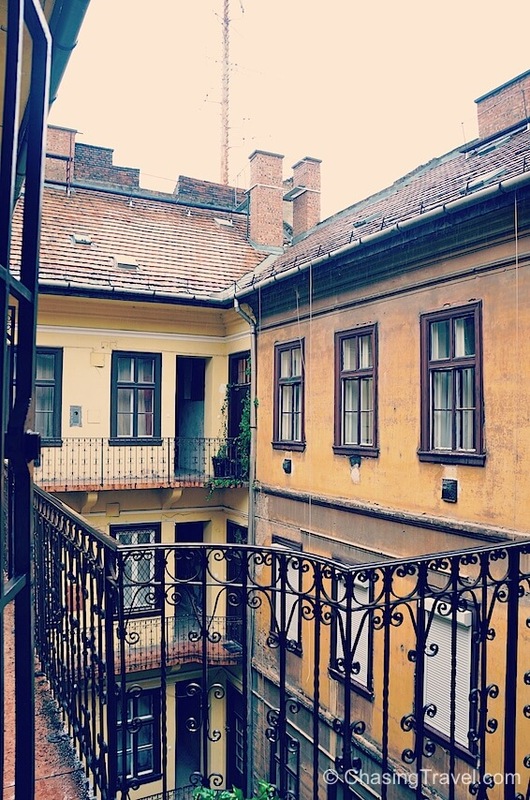 So it’s kind of crazy that our new home in Budapest is also our very first home. I would have never imagined the first time we become home owners would be in a foreign country. But the stars work in interesting ways sometimes. 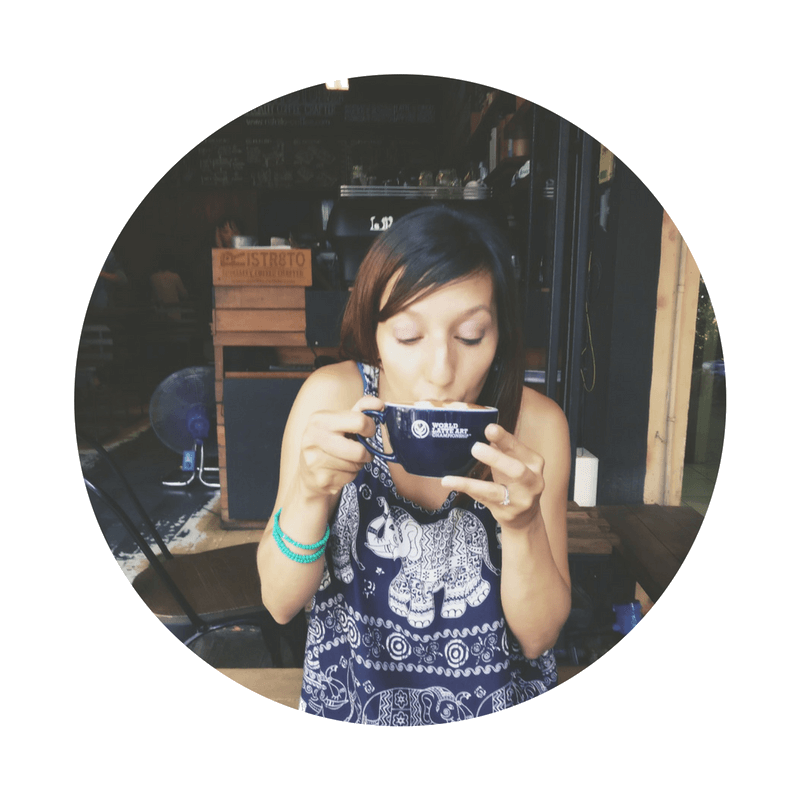 We love spending time in this city and getting to discover new local spots. For now, Budapest will be our home away from home. We won’t be making a permanent move just yet. Our travel itch is still too itchy and we aren’t quite ready to settle into one spot. In the meantime, we plan to share our place with others so they can enjoy it as much as we do! We’re thinking of becoming new Airbnb hosts (if you have any tips please leave them in the comments below). We’re used to travelling as guests so I think playing Airbnb host would be so much fun. We love the spirit of the sharing economy and can’t wait to have other travellers experience our new home and all the reasons why we love this city too. a different part of the World?